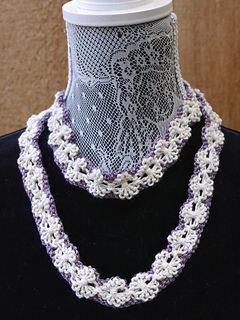 These elegant cowls and necklace were inspired by Tridacna, a giant clam. 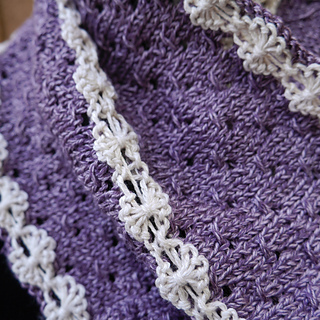 The scalloped edges of the elongated stitch pattern mimic the fluted edges of the clam’s shell. 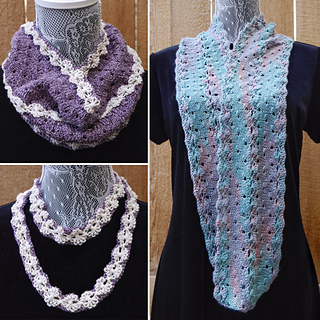 The pattern can be knit as a long infinity loop, a short cozy cowl, or a necklace. 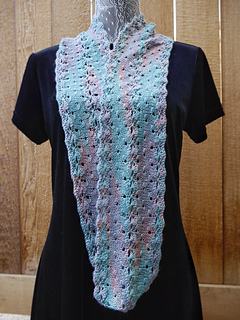 The long cowl requires 273 yards. 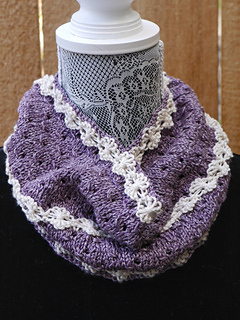 The short cowl requires 170 yards MC, 50 yards CC. 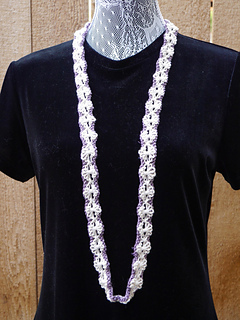 The necklace requires 30 yards each of MC and CC. 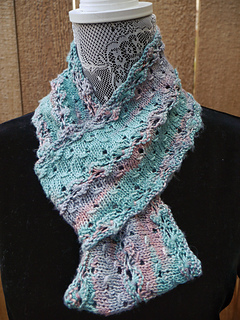 Choose a yarn with silk for drape and shine! 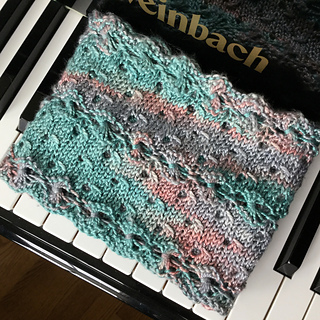 The pattern was inspired by yarn specially dyed to match a photo of a Tridacna clam. The photo was taken by Murray Post, husband of Susan Post, the owner A Good Yarn in Sarasota, FL. 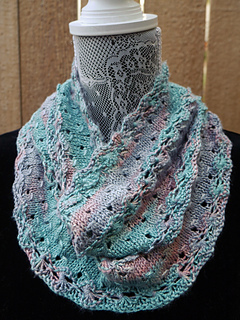 You can find the yarn there. Thanks to tech editor Amanda Woodruff!